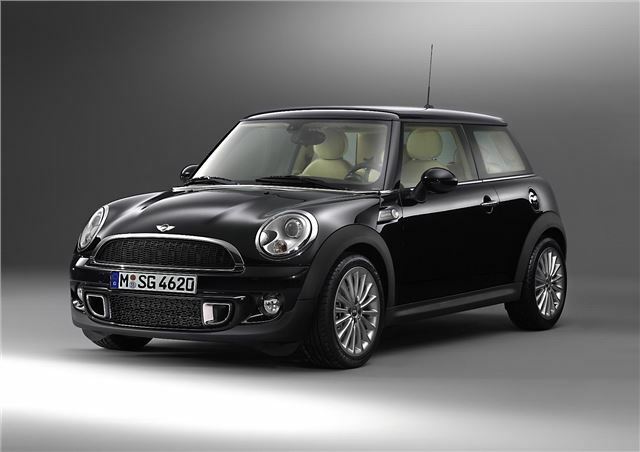 The most luxurious model in the MINI range is on sale now priced at an eye-watering £41,000. The ‘INSPIRED BY GOODWOOD’ is limited to just 1,000 models, and was developed in conjunction with the Rolls-Royce design team. The result is an exuberantly well trimmed interior featuring Rolls-Royce leather in an exclusive Cornsilk colour, as well as Wallnut Burr wood in the dashboard and door trims, another Rolls-Royce exclusive. Externally the INSPIRED BY GOODWOOD boasts a lustrous paintjob in Diamond Black and 17-inch light alloy wheels. Power comes from the 1.6-litre 184bhp four-cylinder engine normally fitted to the Cooper S.
Equipment is generous, as you’d expect from a £41,000 MINI, with satellite navigation, onboard computer, automatic air-conditioning and a Harman Kardon hi-fi system. First deliveries are expected in March 2012.